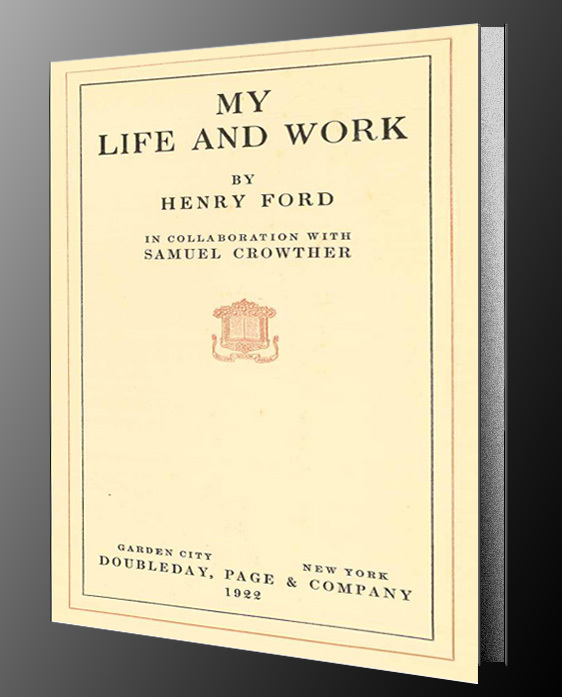 Henry Ford (1863-1947) documented that he made the “any color so long as it is black” comment during a meeting in 1909 (Henry Ford in collaboration with Samuel Crowther in My Life and Work. 1922. Page 72). 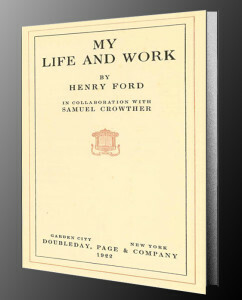 My Life and Work by Henry Ford in collaboration with Samuel Crowther. 1922. Henry Ford had a different perspective than the salesmen attending the meeting. The first Model T left the factory in September of 1908. In the 1909 fiscal year, 10,660 units were produced. Ford considered that their offering was good enough. The Model T had product-market fit. 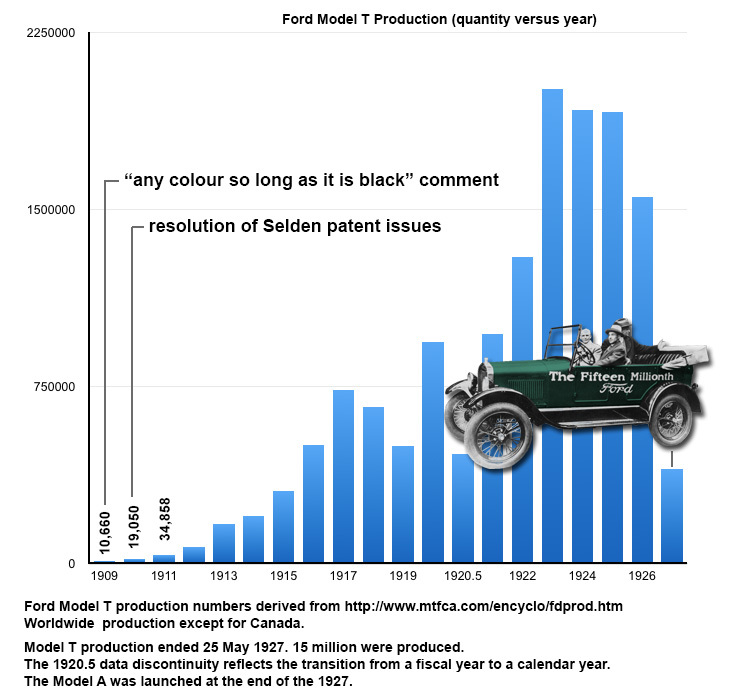 In the language common to product development, the Model T was a platform product. Over the next 18 years, there were numerous body styles that included 2-door and 4-door touring, roadsters, town cars, pickups, and sedans. The Model T was designed by Henry Ford, Childe Harolde Wills, József Galamb, and Eugene Farkas. In 1909, Henry Ford had a vision to scale production. He believed the the Model T platform was the best strategy to produce an affordable car for the world. Fortunately, there is production data for 18 years. Production went from thousands per year in 1909 to millions per year. Worldwide production except for Canada. Model T production ended 25 May 1927. 15 million were produced. The 1920.5 data discontinuity reflects the transition from a fiscal year to a calendar year. The Model A was launched at the end of the 1927. Because the Model T chassis that did not change much in 18 years, the designers could devote more effort to the passenger related parameters. Henry Ford’s resolve set the focus and direction of the project. He was not detracted by the reports from the salesmen. He monitored development to minimize unvalidated additions to the product backlog which is also known as product feature creep. 15 million Model Ts were produced by 1927. This car is green with black trim (fenders and running boards). 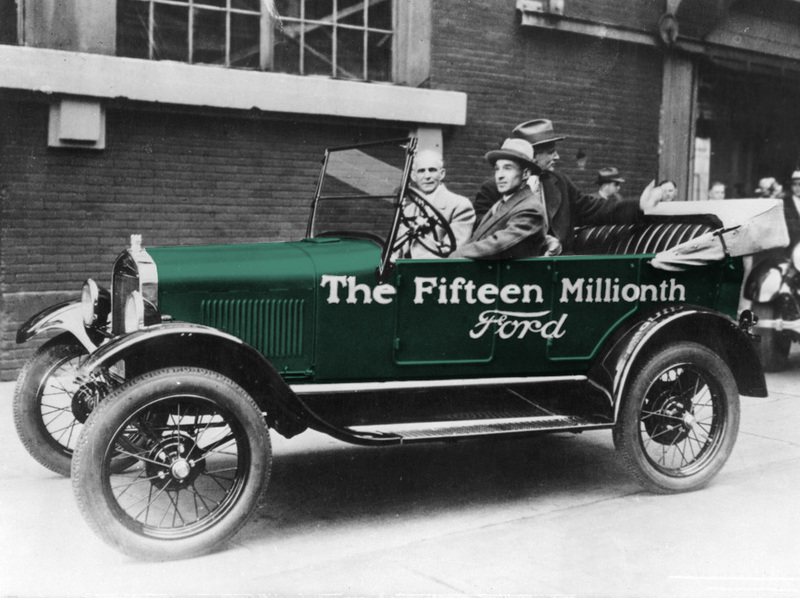 The Fifteen Millionth Ford Model T. Henry Ford is the passenger in the front seat. In late 1927, Henry Ford had the replacement for the Model T. The new Model A was produced from 1927-1931. Nearly 5 million were produced. Minimizing changes to the Model T platform. Many components of the chassis were the same for every body style. Reducing the number of factory hours required to produce each car. This included minimizing the number of body colors. Henry Ford disrupted the way people moved from one place to another by designing and manufacturing an affordable car to anyone making a decent salary. One of the color choices was black.